My friend is going to have her second baby, a boy this time, Woo Hoo!! and I'm thrilled she's asked me to help her plan it. We took her daughter to the zoo and planned the shower as we walked around. So much fun to plan the shower at the zoo instead of a coffee shop or our houses. As this is her second she wants something a little different this time. Not the typical shower. 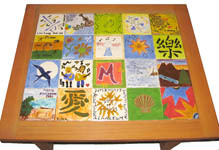 The idea is to have the party at a make your own tile place, http://www.mimosa-studios.com/ . 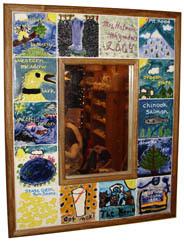 Every guest can make a tile and the studio will turn it into a table or a mirror for the mom to be to take home. A great personal addition to the babies room.